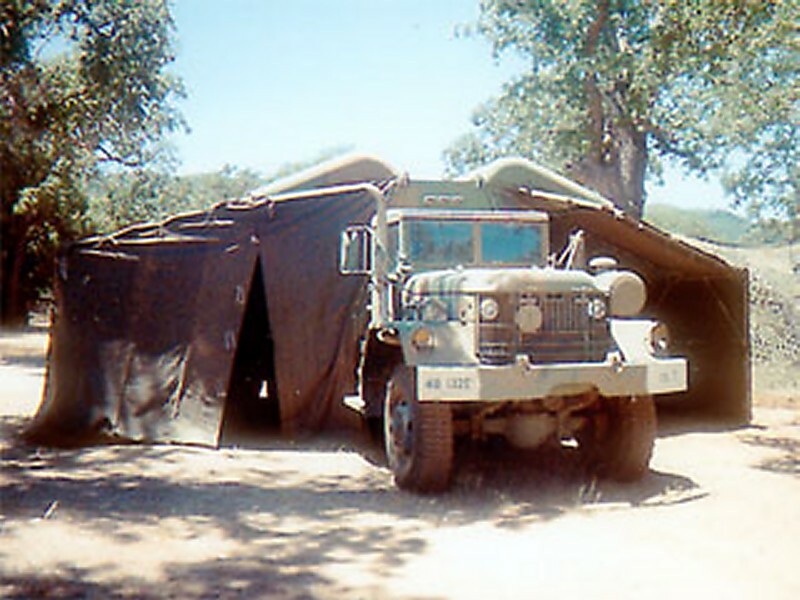 In the early 1970's the U. S. Army contracted AM General to perform engineering development work on it's 2- and 5-ton truck series. As part of an ongoing developmental effort, AM General designed the M809 series 5-ton truck. AM General produced over 92,000 5-ton trucks at its South Bend facility for distribution to the U. S. Armed Services and friendly overseas nations. In addition to the development of the M809 truck series, AM General developed a second 5-ton truck series, the M939. AM General won a contract for the production of over 21,000 vehicles which began delivery in 1982. Responding to the need for the military for increased mobility, AM General developed and patented the Central Tire Inflation System (CTI) to be used on the M809 and M939 5-ton trucks. The CTI features driver activated dashboard controls that alter tire pressure to suit terrain conditions while the vehicle is in motion. The CTI improved vehicle towing capability even under the most severe weather conditions and contributed to longer vehicle life and lower life cycle costs. The variants of the M809 Series 5 Ton Truck are the M810, M811, M812, M813, M813A1, M814, M815, M816, M817, M818, M819, M820, M820A1, M820A2, and M821. The M809 Series vehicles are equipped with a NHC-250 Cummins diesel engine, a 5-speed manual transmission, and a 2-speed transfer case. The M809's top speed is 54 mph and is equipped with a manual transmission. The M809 Series 5 ton trucks' average useful life is 20-22 years. As of early 2002, the most common versions of the M809 Series vehicles in service were the M813A1 Truck, Cargo, Dropside, 6x6 and the M816 Truck, Wrecker. The M813A1 is a product improvement of the M54 and the M816 is a product improvement of the M543. The purpose of the M813A1 vehicle is to transport cargo, materials, and personnel over all types of roads, terrain, and in all weather conditions. The M813A1 is capable of fording depths up to thirty inches without the fording kit, and seventy-eight inches with the fording kit. The maximum payload for the M813A1 is 20,000 pounds highway and 10,0000 pounds cross-country. The maximum towed load is 30,000 pounds highway, and 15,000 pounds cross-country. The M816 is the wrecker/recovery variant of the M809 Series vehicles. It is capable of recovering/towing all 5-ton vehicles and below and is fitted with a 10,000 pounds capacity front winch and a 20,000 pounds capacity rear winch. The M816 has a hydraulic crane, which has a lifting capacity of 20,000 pounds with the outriggers down and the boom supported to the frame and 10,000 pounds without outriggers down and boom supports. The M818 is the tractor truck variant of the M809 series vehicles. It has a fifth wheel which is used to haul adaptable semitrailers with loads up to 37,500 pounds cross country and 55,000 pound highway. The front winch that is mounted on some of our M818's has a pulling capacity of 20,000 pounds.